CO-RET23FE : 2006 - FRANCE Sheetlet 10 Perso. Stamps "Concorde 30 years Flight Paris-Rio"
The Sheetlet includes a Variety "30 missing" on the third block of 2 values. 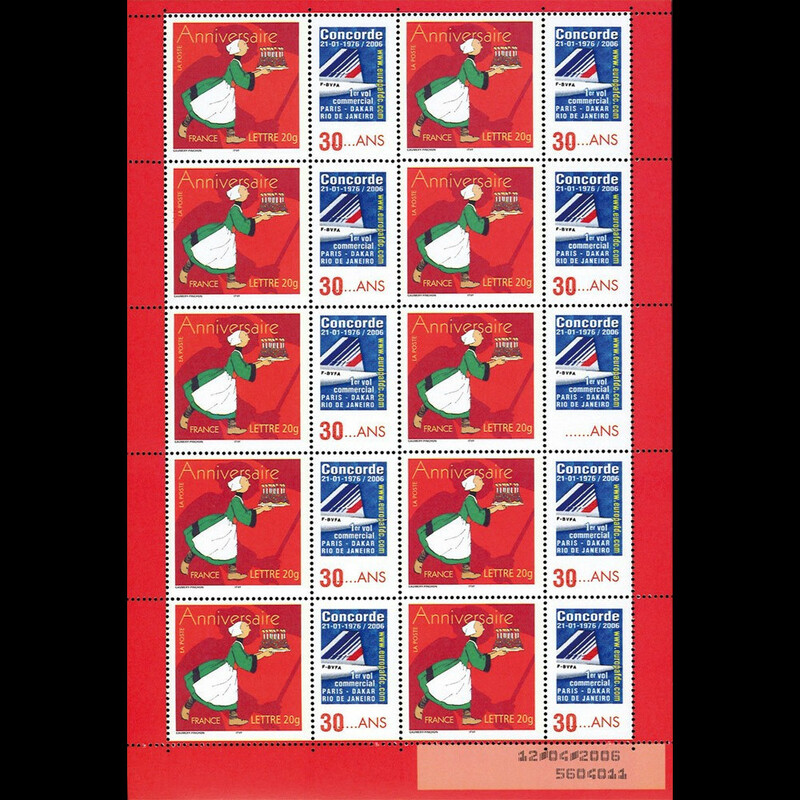 Collecors of "Marianne" and other "personalized stamps" don't miss this limited offer,the French postoffice has suppressed this type of "personalized stamp with adjacent vignette" from its catalog since the 29th of October 2007. CO-RET23NG : 2006 - Perso. PS France Becassine "30 years Concorde Paris-Rio"